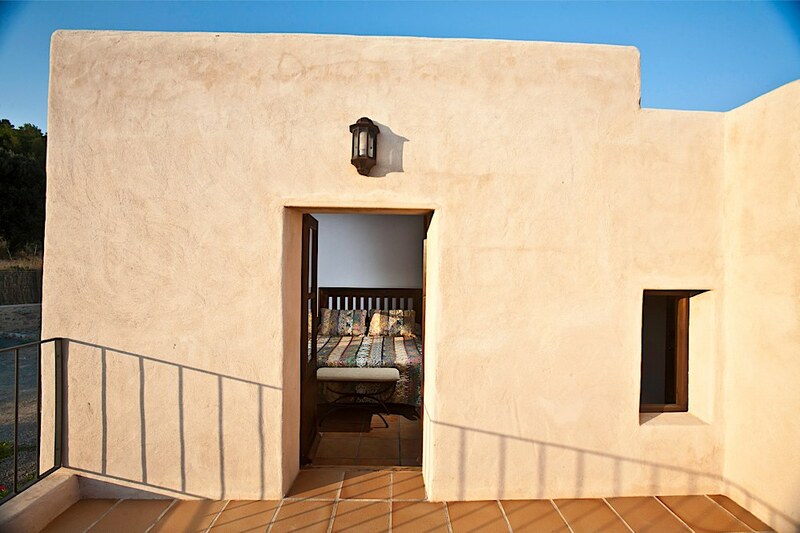 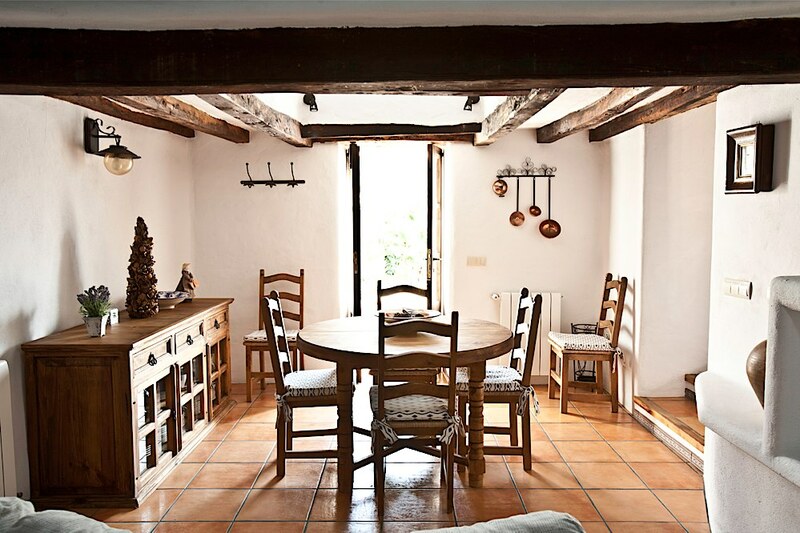 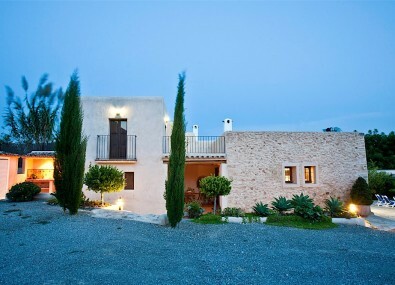 Can Truy is a ‘finca’ an ibicencan farmhouse, This is one of a few perfect Ibiza family Villas to rent has been lovingly restored to the highest standard in 2011. 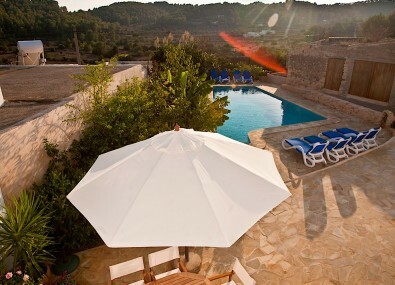 It is located in the picturesque, peaceful valley of Benimussa, one of Ibiza’s hidden gems surrounded by citrus orchards, almond groves and pine-clad hills it is just a short drive from the lovely village of San Jose with its restaurants, bars, shops and the famous beaches of the west coast. 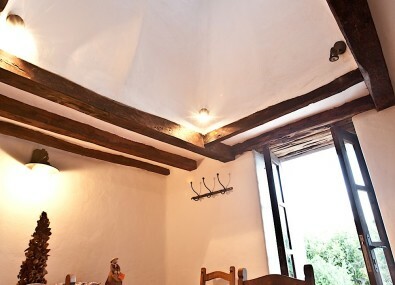 There are views over the magical countryside from the upstairs bedrooms and downstairs there are a choice of living rooms, plus indoor and outdoor dining areas with pool and garden views. 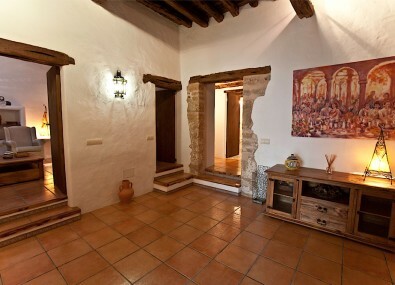 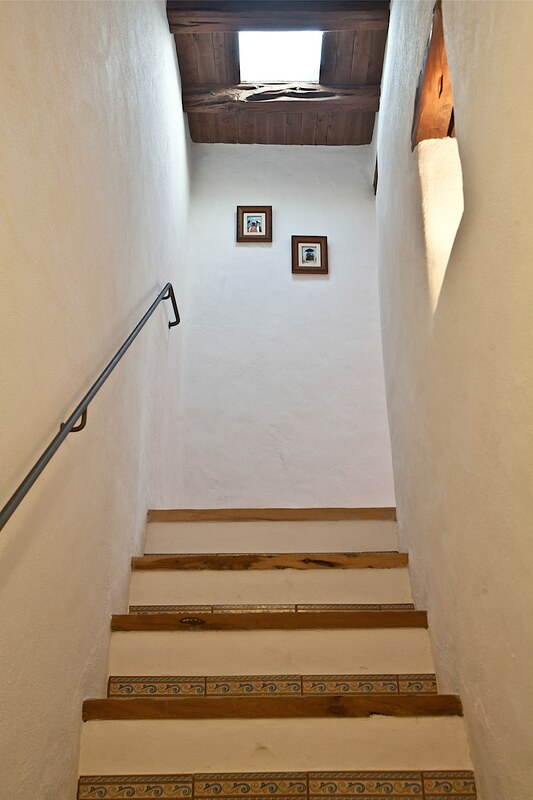 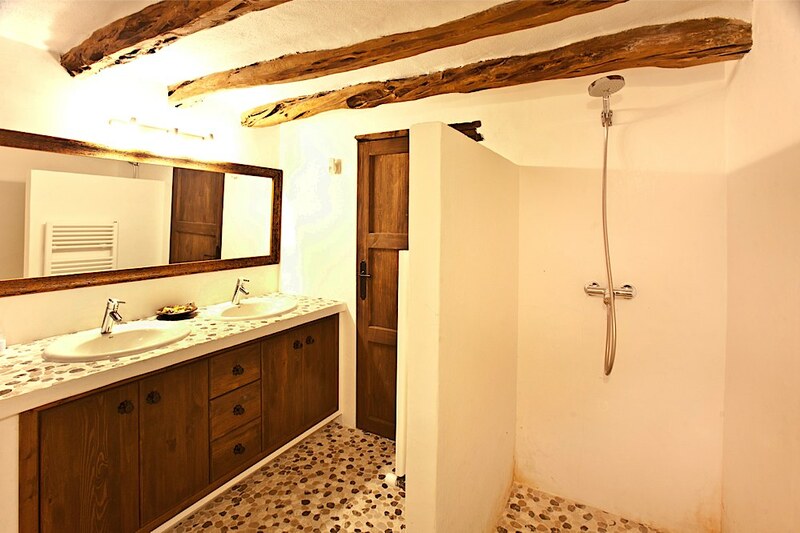 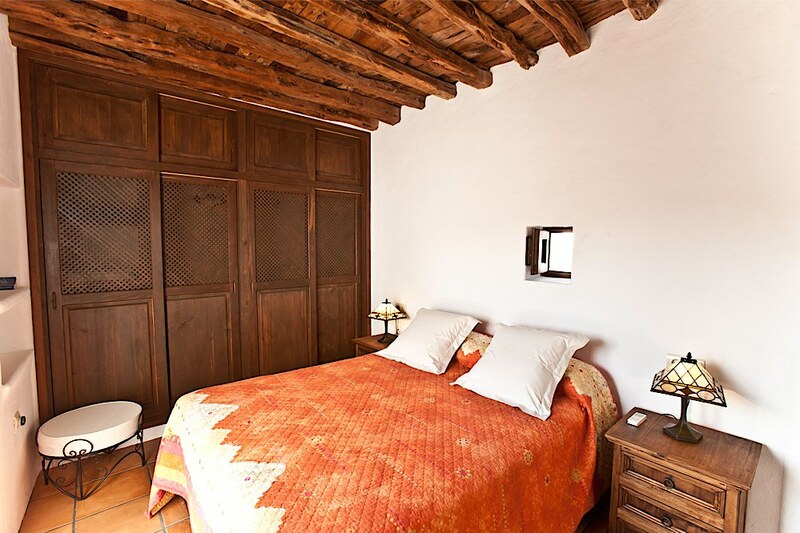 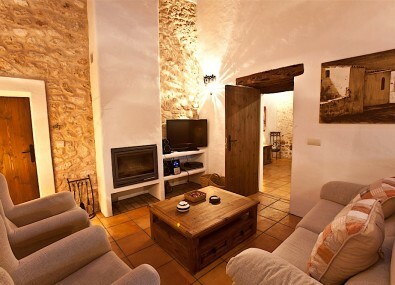 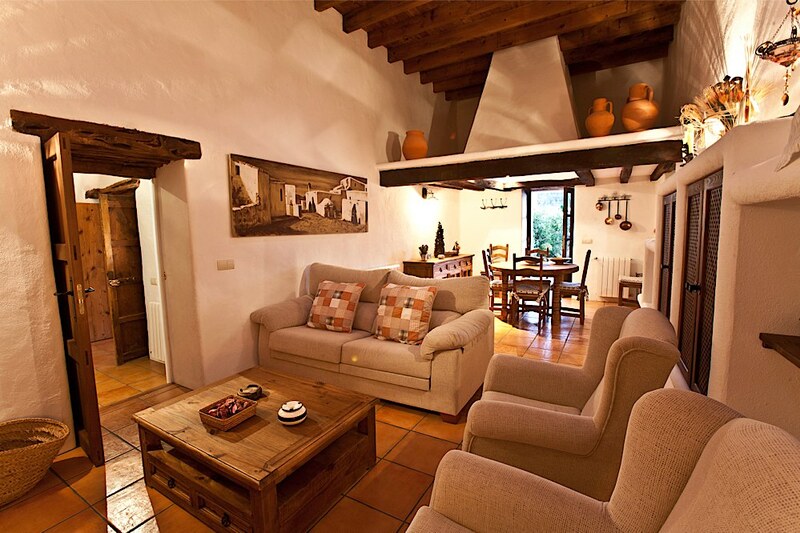 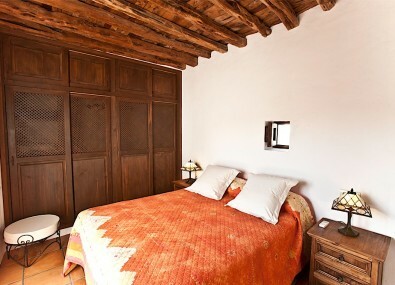 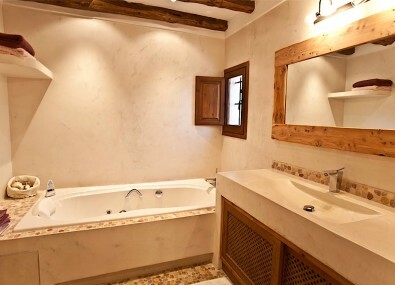 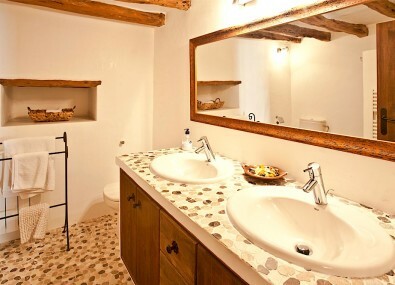 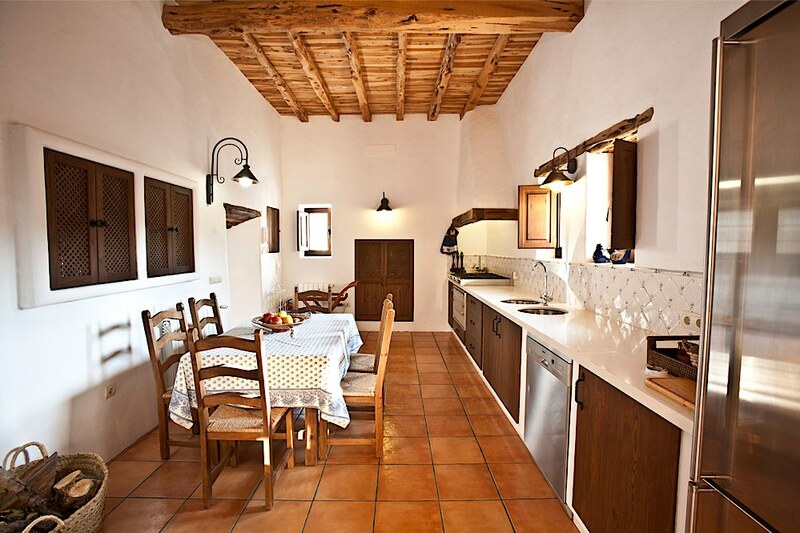 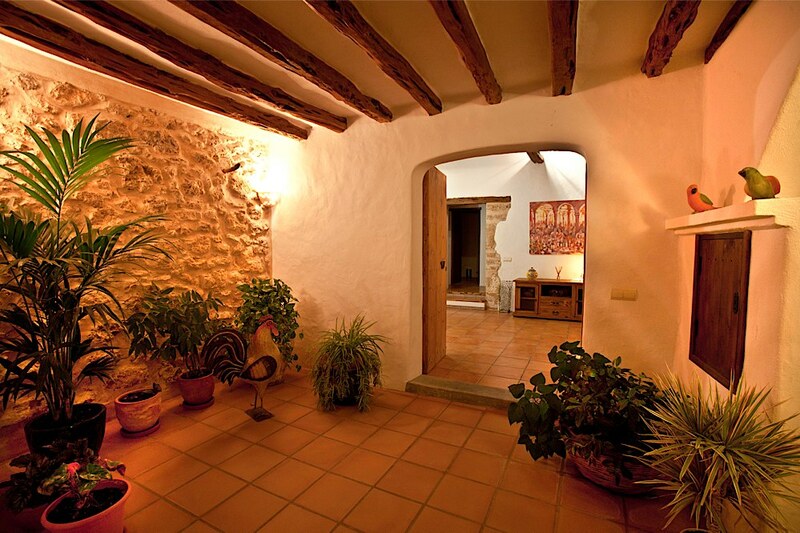 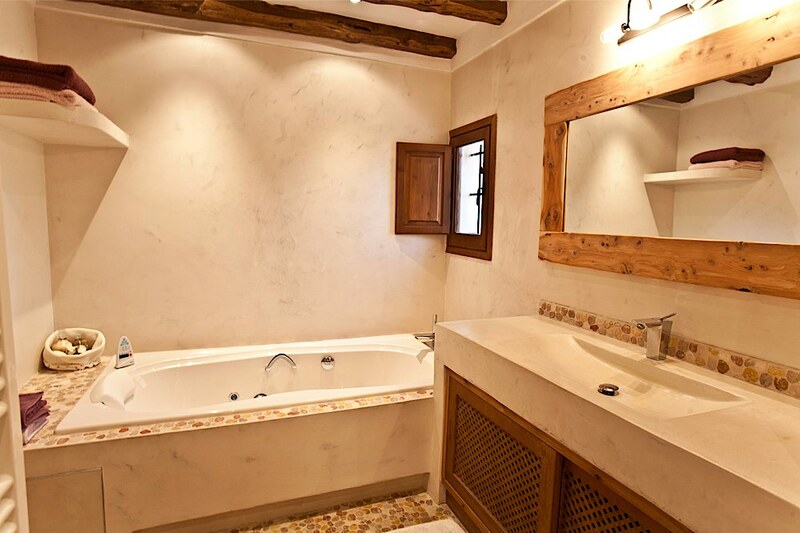 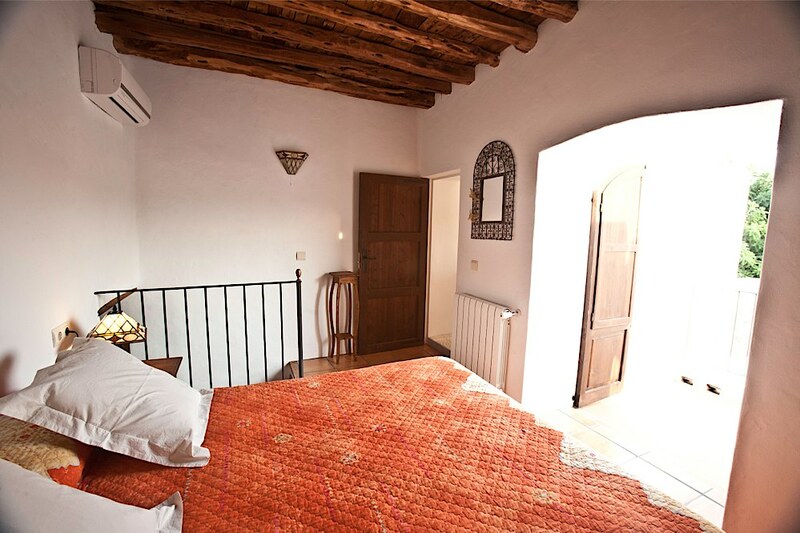 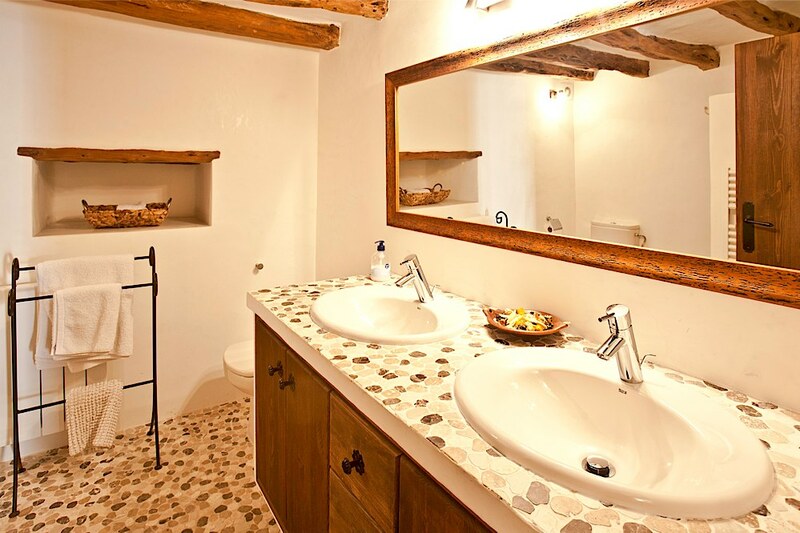 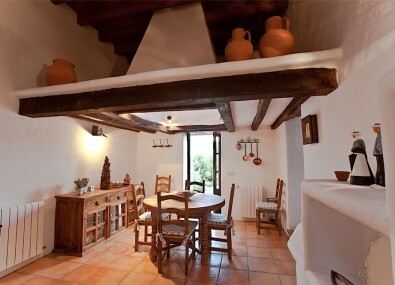 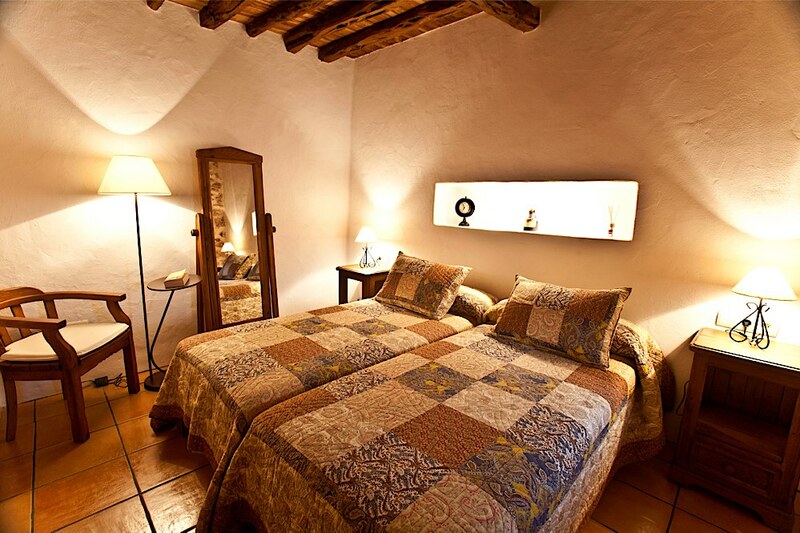 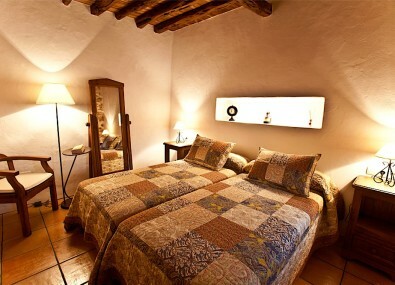 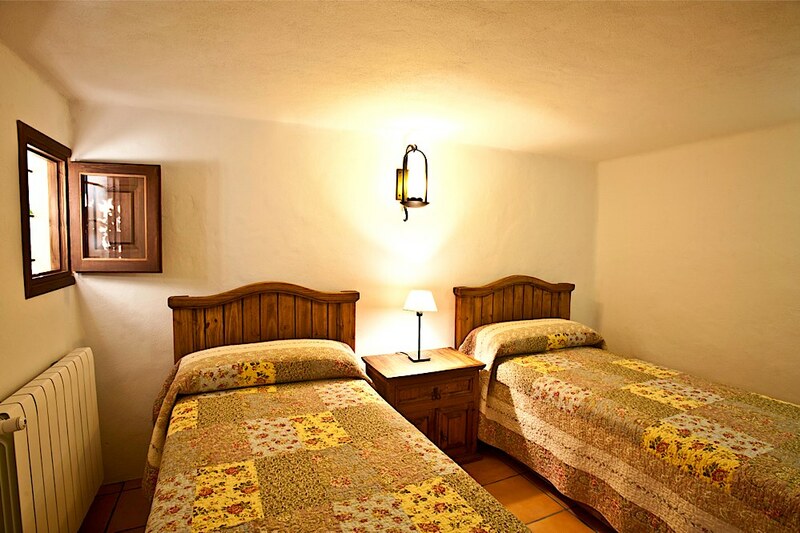 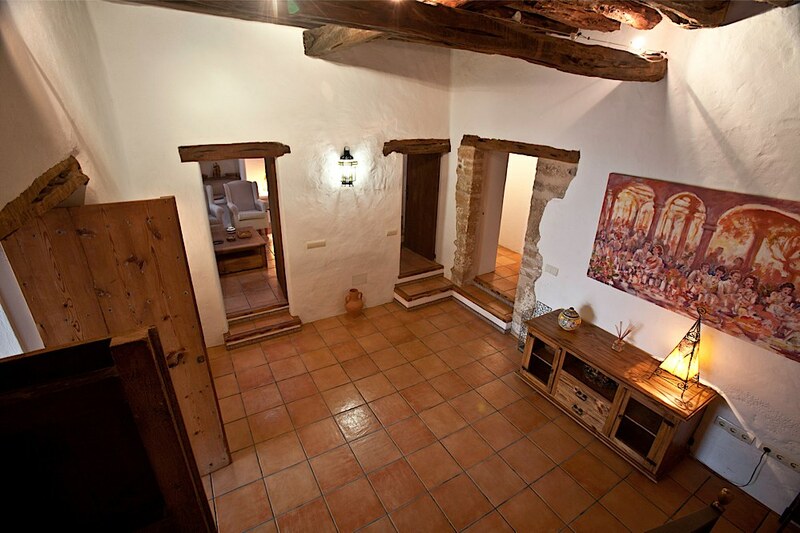 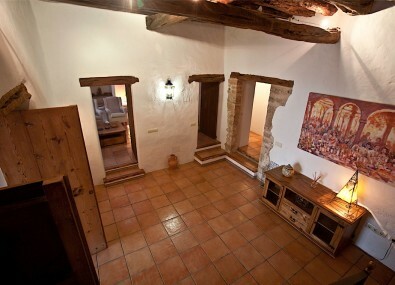 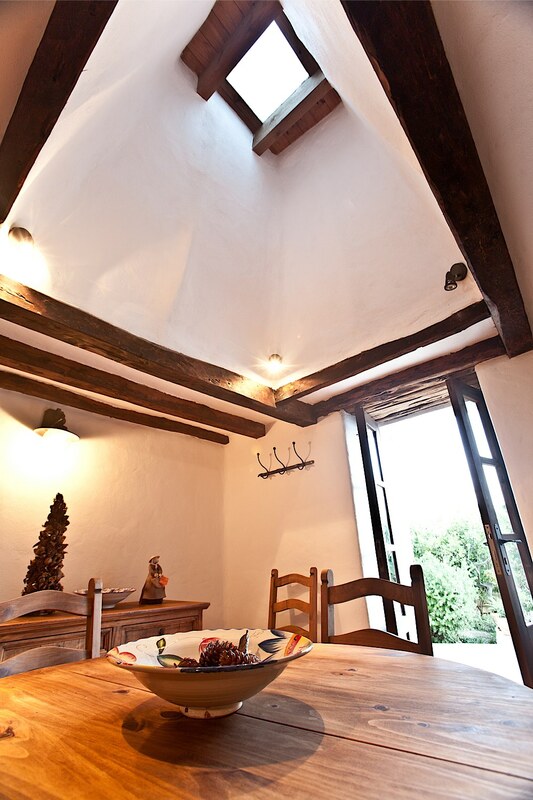 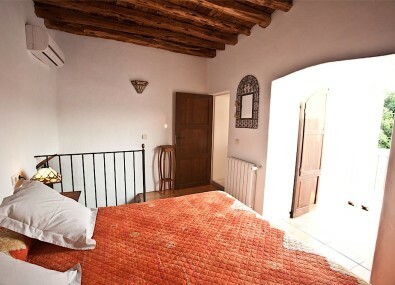 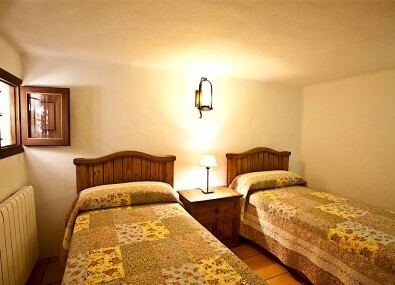 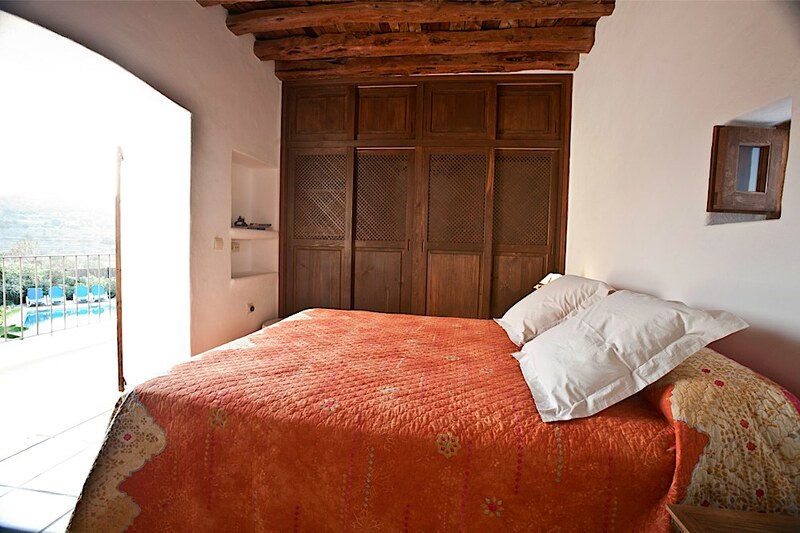 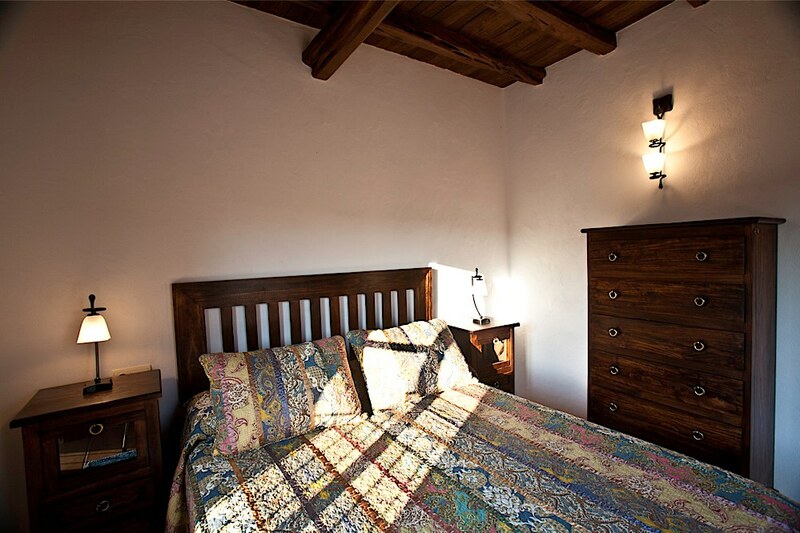 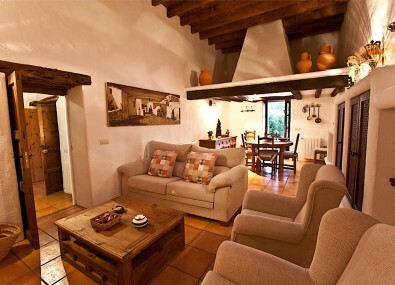 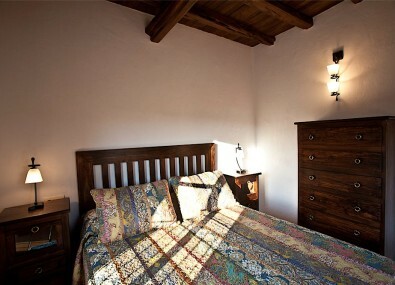 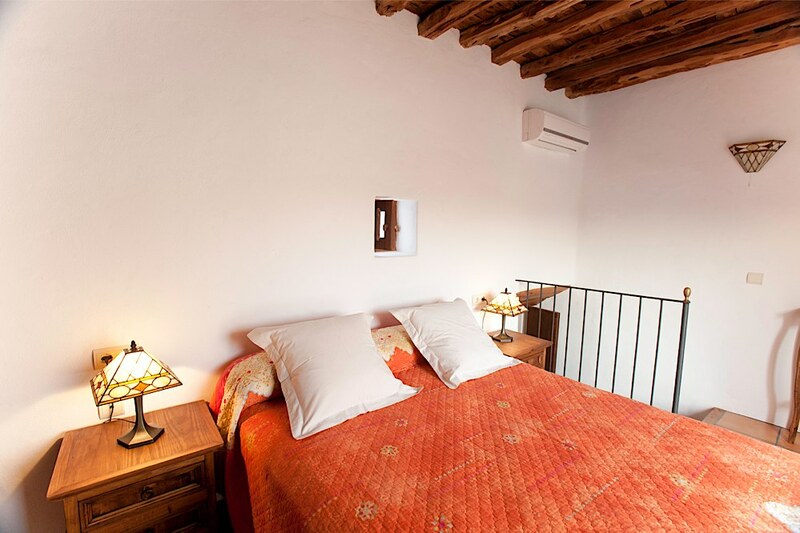 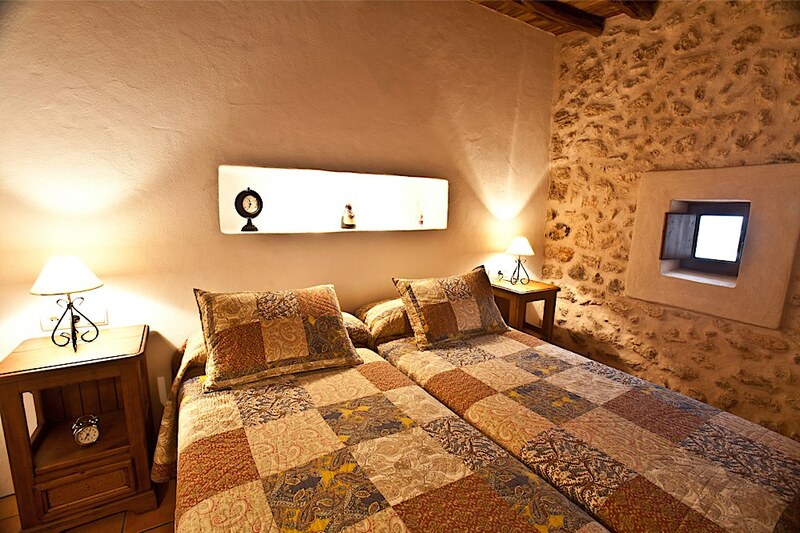 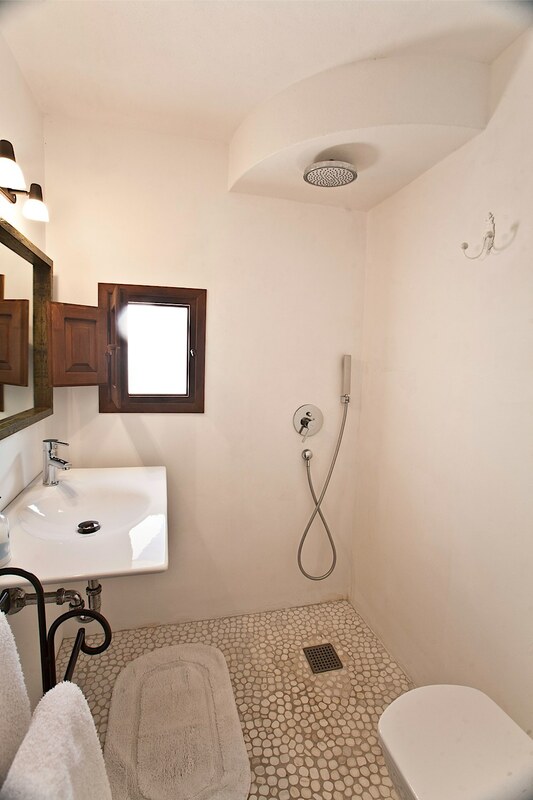 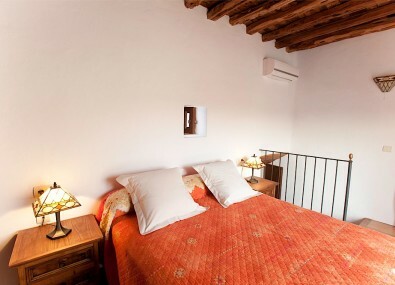 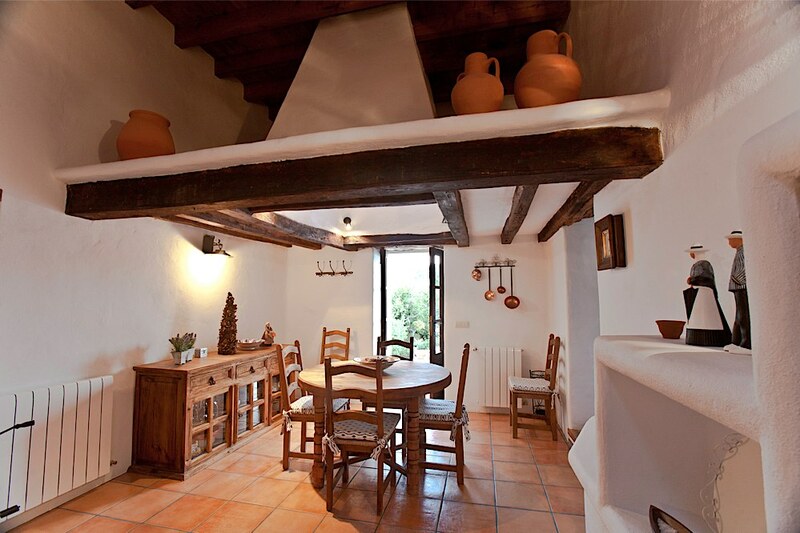 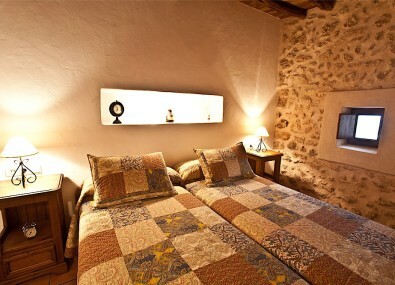 The Villas spotless interior combines traditional features such as wooden beams, exposed stone walls and terracotta floors with light and modern furnishings. The property is fenced and has a safe and sunny pool, making it an ideal Villa in Ibiza to rent for families with children. 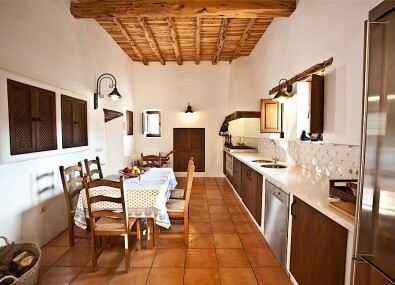 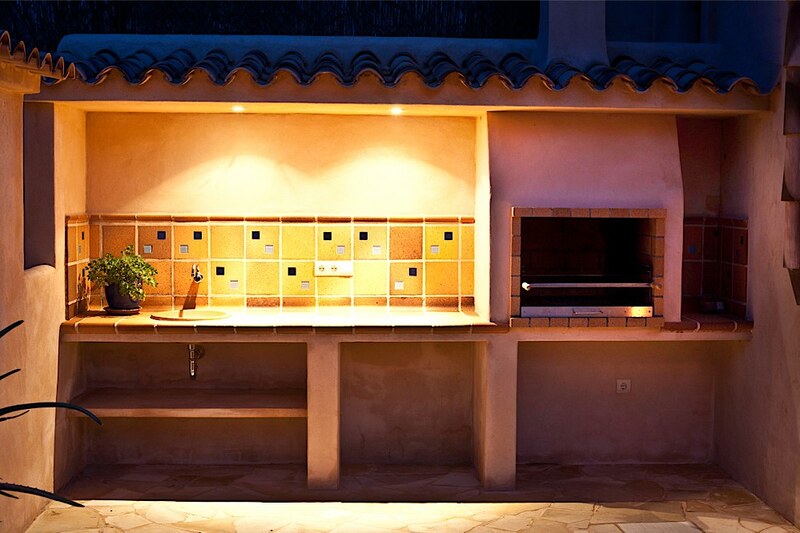 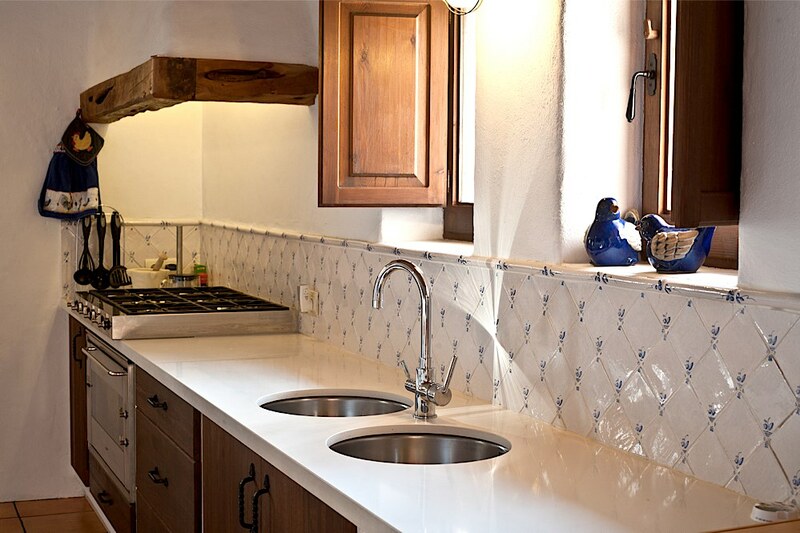 The Villa has a fully equipped and spacious kitchen, giving access to a combined living and dining room with doors onto the pool and exterior as well as another living room. 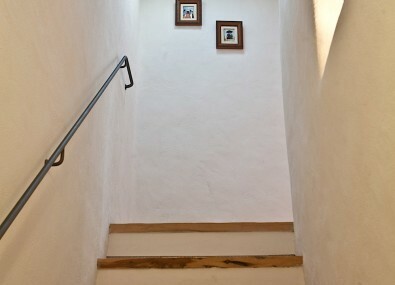 From here a hallway leads to a twin bedroom with bathroom and a stairway to the second floor where there is a double en-suite bedroom with its own balcony boasting views of the surrounding countryside and the pool. 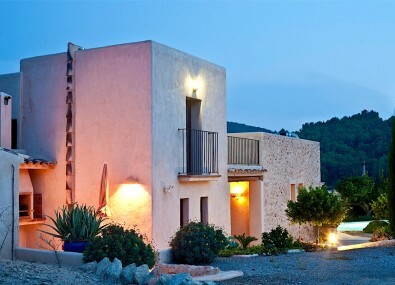 The second floor of this Villa in Ibiza is also accessed by stairs from this lounge, where there are two bedrooms, one with its own terrace and a large bathroom with separate shower and whirlpool tub. 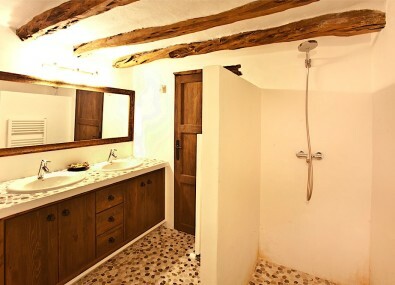 The Villa has a cleaning service once per week where towels and linen will be changed at the weekend if you are staying more than a week. 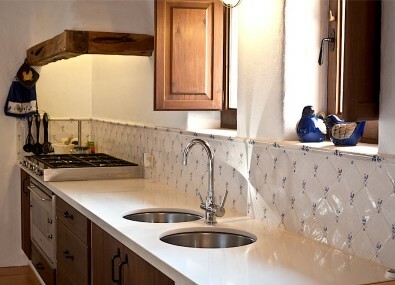 Additional cleaning service can be supplied on request for a small charge. 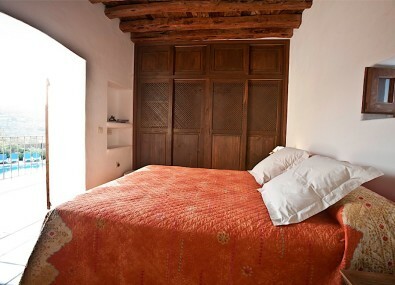 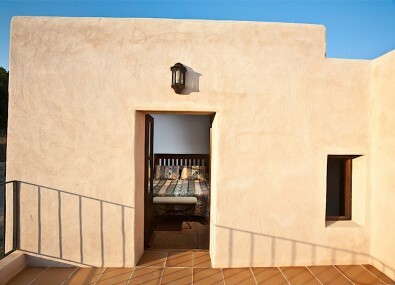 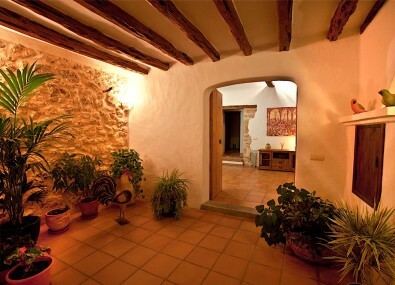 The villa is on several different levels and so unfortunately is not suitable for wheelchair users. 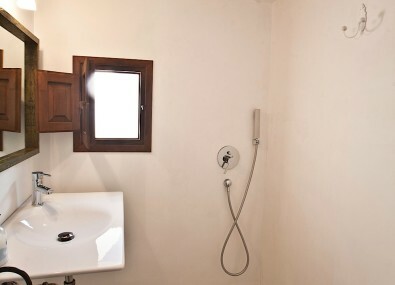 However there is a twin bedroom and a bathroom located on the ground floor for people with limited mobility. 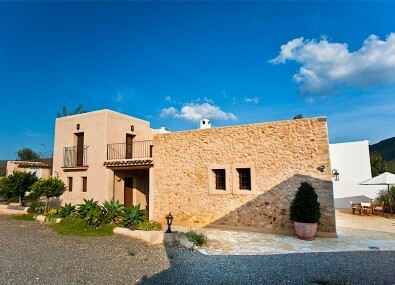 • Private swimming pool (10m x 5m) and garden, 8 sun loungers, parasols. 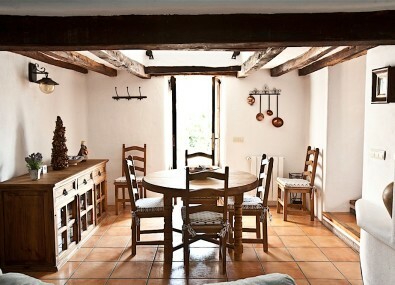 • Dining table and chairs for 10 people. 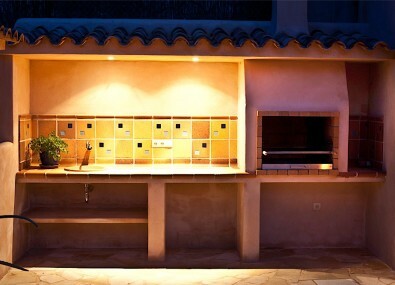 • Large BBQ with sink and tiled worktops. 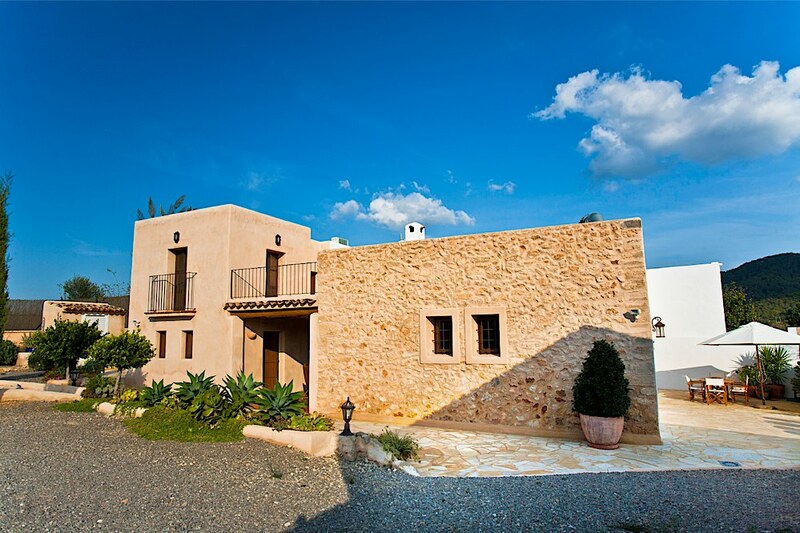 Ibiza Villas direct is a small independent company based in Ibiza offering exclusive Villas in Ibiza to rent with a personal touch. 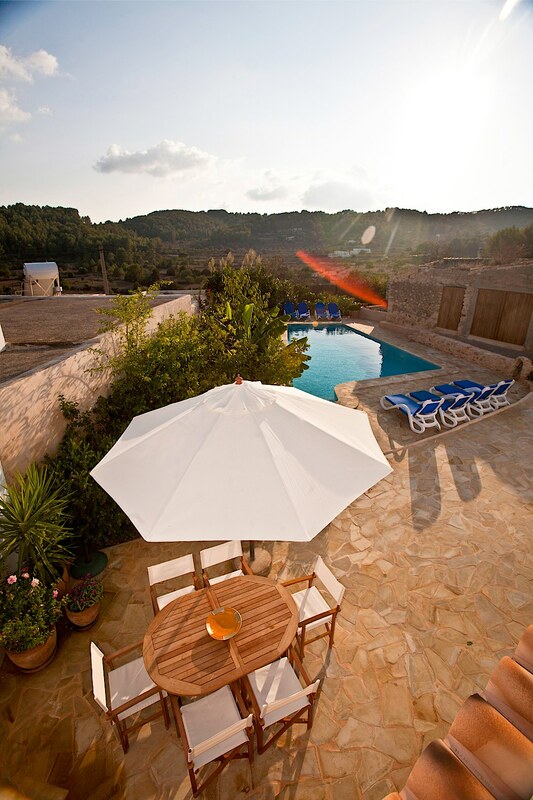 The villas are all carefully hand picked, we pride ourselves in being at your service from arrival to departure from the island, ensuring your stay is as relaxed and hassle free as possible. 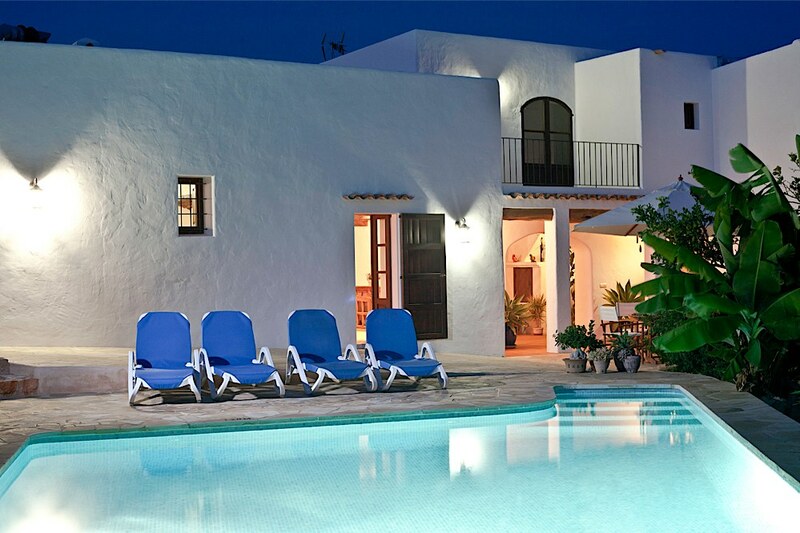 Our villas all come equipped with pool and we also have a private selection of high end luxury villas, for something extra special please email us for options. 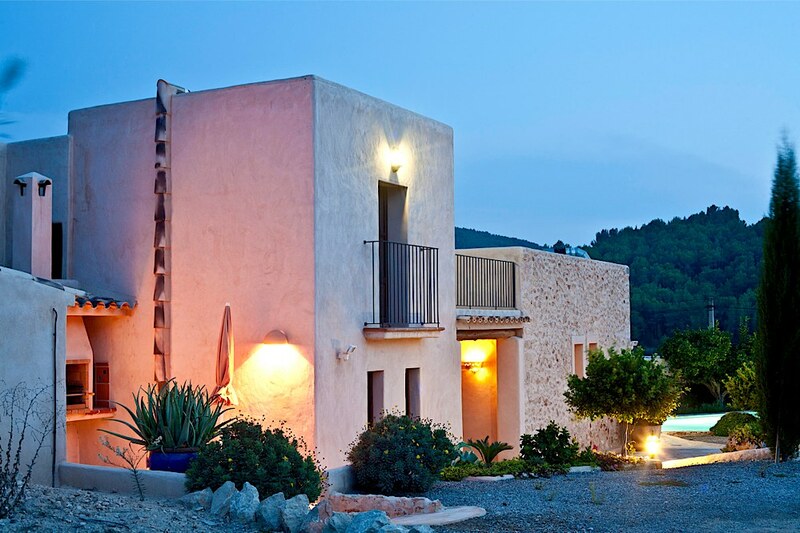 Ibiza Villas direct and all the villas we represent are registered with the Tourism Board in Ibiza, so you can be ensured that quality villas and quality service is what we offer.